Advait Deodhar is a name that won’t be familiar to the majority of British motor racing fans. That doesn’t mean his proposed entry to the Porsche Carrera Cup GB in 2016 should be ignored. He could turn out to be one of the most interesting prospects of the season. Deodhar started racing late. Really late when compared with some of the Porsche scholarship drivers. “I only got into the sport at twenty-two,” Deodhar confirms. 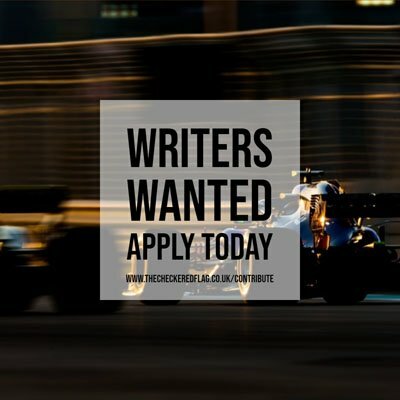 When you consider the fact that Max Verstappen is an F1 driver at only seventeen, creating a new rule as opposed to being simply an exception, you understand just how late. Once again the plaudits flood in for the World Endurance Championship, the opportunity to have a long and sustainable career the key cornerstones. Advait’s plan has been less than twelve months in the making but it is already startlingly clear that he knows exactly how he sees himself progressing. “I was looking at the Carrera Cup Asia but it is more a series for gentleman drivers. The Carrera Cup GB is more orientated with the classes for professional drivers,” Deodhar explains. The Porsche Mobil1 Supercup is a target for 2018. The need to have “seat-time”, especially in Porsche racing, is highlighted as vital prior to any proposed entry in to the Formula 1 support series. “In India the following for motor sport is not as strong as the UK. I was pleasantly surprised when I visited Snetterton’s BTCC event this year, it is like a big family outing trackside.” Deodhar also adds his name to the list of those extolling the virtues of the TOCA package and the live television it offers. Frank about the challenges he will face in the transition to GT racing and the UK circuits, Deodhar describes the “big jump” 2016 will be. “I am looking forward to the high level of competition because that is going to drive me further,” he enthusiastically announces and you sense the sincerity in the sentiment. The possibility of entering the Silverstone Supercup round, like a massive nine Carrera Cup GB drivers did, is also discussed as a possibility. “I have been in touch with the teams and I want to be with one of the top three teams; Parr, Team Parker Racing or Redline. I need to be in a team where I can learn,” is Deodhar’s mature view on where he needs to be situated next year. “A dream, brilliant,” is how Advait describes the possibility to race at Spa-Francorchamps, if the event returns to the calendar in 2016. Enthusiasm is something that can occasionally be found wanting in racing drivers, overcome with the simple determination to be the best. Advait Deodhar is a bit different. That hunger for competition is there but so too is the sort of child-like excitement that is the real reason most become involved in motor sport. He will be a tremendous addition to the grid next season.